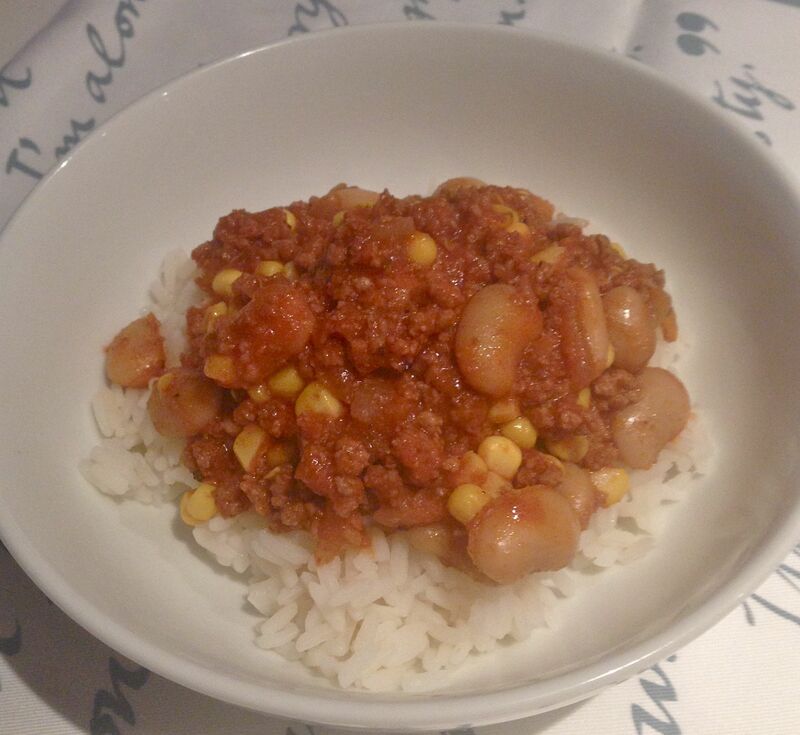 Today I decided to come up with a different version of chilli. I’m not a big fan of kidney beans, so I’ve used butter beans instead which I think is a huge improvement. I also added fresh sweetcorn for some sweetness. Experiment with the quantity of chillis until you get exactly the heat you desire. It’s a great prepare-ahead dish that you can get ready and heat up later, plus it freezes very well. I served it on a bed of rice, it would also work well with mash or a jacket potato. Heat the olive oil in a pan and fry the onion until softened. Stir in the cumin, oregano and chillis and mix well. Add the passata and water and stir well. Add the sweetcorn and butter beans and mix together. Simmer on low for about 20 mins until the chilli has slightly thickened. It’s now ready to serve, but you can turn it off and reheat later if desired.